Welcome to Virginia, motherland of presidents, a craft beer mecca, and in recent years, a burgeoning home for major motion pictures and television series. Virginia has always been a low key place for the film industry to come knocking when it needed a location. Steven Spielberg’s “Lincoln” was shot right here in the River City, along with the Showtime CIA drama “Homeland,” AMC’s “Turn: Washington Spies,” and PBS’ Civil War flick “Mercy Street.” “Wonder Woman 1984″ is currently in production in Alexandria, and VMI in Lexington served as the location for the 1938 film “Brother Rat.” What was once a well-kept secret spot to film an indie film or a commercial is quickly becoming a go-to destination for Hollywood’s biggest features. But why are so many filmmakers flocking to the area all of a sudden? Part of it is our geographic backdrop. Like a beautiful chameleon in a James Bond film, Virginia’s landscape can, with a snap, easily become almost anywhere and everywhere. “Homeland” shot its seventh season in Richmond and used most of the city to play the part of Washington D.C.
Jamison is a Richmond native who studied film at Oxford University and is the writer/director behind the forthcoming short, “Slave Cry,” a contemporary film set in his home city. He’s also worked on the set of “Lincoln.” And while that was one of his favorite pieces, he stressed that Virginia filmmaking is not just for period pieces. 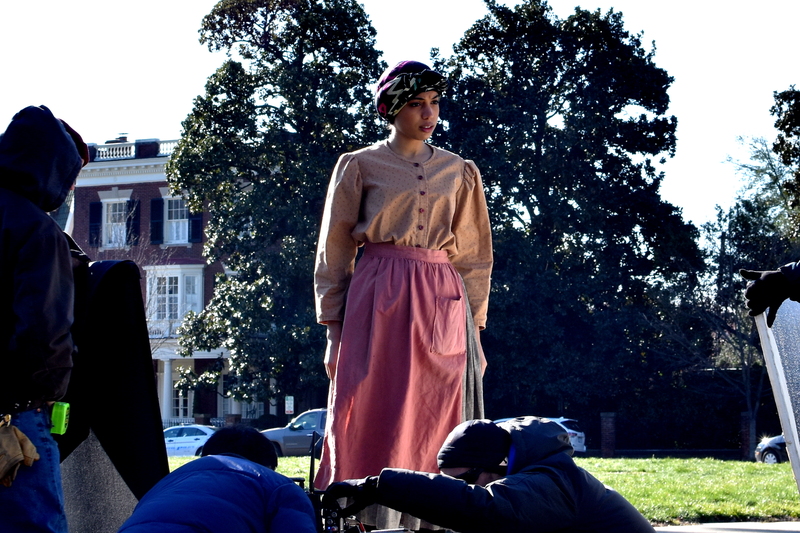 Although bringing filmmakers to Virginia costs money, the Commonwealth receives a major return on investment. From paying crews and actors to shoot in the state to Daniel Day-Lewis grabbing a bite at local spots, to stars settling in at Quirk Hotel, to something as simple as buying a sandwich from Ellwood Thompson’s, when film crews bustle into the state, Virginians makes money. According to a 2016 report by Mangum, an independent Glen Allen-based economics firm, the film industry contributed 4,287 full-time-equivalent jobs, $215 million in labor income, $697 million in economic output, and over $85 million in total tax revenue, of which $27 million was state and local tax revenue. Gov. Ralph Northam announced earlier this year that “Homeland” produced upwards of $45 million in direct spending in the Commonwealth, representing the largest single production expenditure in Virginia history. Over its four years filming in Virginia, the TV series “Turn: Washington’s Spies” spent over $100 million. Most recently, Virginia Tourism paid “The Bachelorette” $536,000 to film in Richmond according to a Richmond-Times Dispatch article published this month. But how can the state sustain this level of investment, and keep bringing in big film-makers, despite not being a destination on par with New York City or Atlanta, Georgia? “Series is the way to build the ongoing industry. I’d love to have two big network series going in Richmond, two in Norfolk, two in Northern Virginia, then we’d become the real deal in production,” Edmunds said. Edmunds has been with the Virginia Film Office for 17 years. He originally got into film through the music business as a singer/songwriter. During his time with the film office, one specific sector he’s seen a major impact from the film industry is the state restaurant scene. Los Angeles and New York, while forever prosperous, are becoming old news as the new giant that is Atlanta builds its foundation as the place to be on the East Coast for filmmaking. With blockbuster films and television series such as “Avengers: Infinity War” (and really the entire Marvel Cinematic Universe), Netflix’s “Stranger Things,” and AMC’s “The Walking Dead,” Atlanta is a force that’s here to stay. However, is Virginia on its way to becoming the next behemoth in filmmaking? Edmunds elaborated that Georgia made the economic decision, much like Canada, to really buy the industry. Vancouver and Toronto specifically are major film-making destinations. While this isn’t as much of an issue in Northern Virginia with airports such as Dulles, it still causes a bit of an inconvenience for Richmond. There is a benefit to having more high-profile projects coming to the state on a more personal level. Once upon a time, film students at Virginia Commonwealth University or Old Dominion University would have to prepare themselves to move to New York City or Los Angeles upon graduation to continue their craft. Now, there is more promise for staying home if that’s the route they choose. Jackson is an aspiring director who followed his heart to film because of a life-long love of storytelling. As a graduate of ODU, working on projects such as “Loving” has also given him some insight as to why Virginia stays busy: tax incentive. “I think that really encouraged the industry to come here and make high-quality projects at a price that’s fair,” Jackson said. 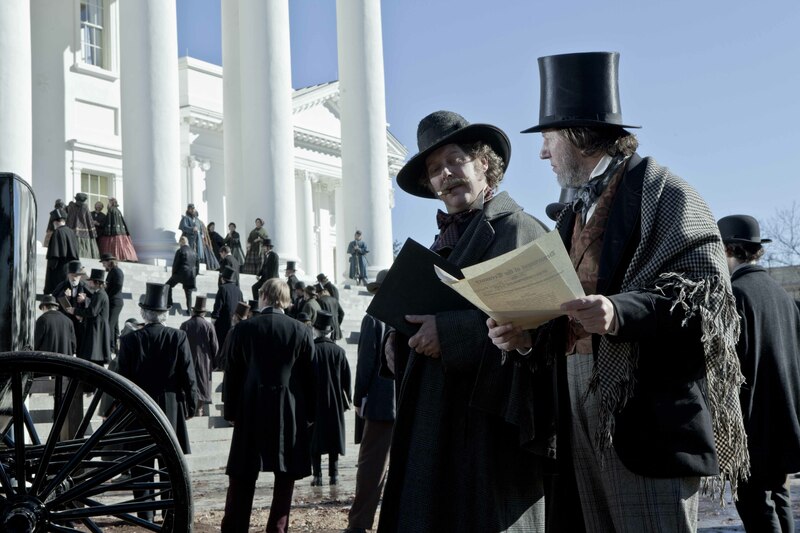 The Virginia General Assembly passed the Motion Picture Tax Credit bill back in 2010, making productions eligible for reimbursement for a portion of filming costs through refundable income tax credits. The Virginia Film Office offered up $700,000 in a grant and up to $6.5 million in tax credits for “Homeland” to film in Virginia. With these sort of incentives, Jackson hopes that will spur more indie filmmakers and even bigger films to consider producing their works here. “Hopefully it continues to grow [for] aspiring filmmakers from here to do their projects and tell their stories. All of these shows coming here gives us the experience and the knowledge to do that,” he added. Virginia has always been a beautiful state, filled with potential narratives outside of a bucket full of dead presidents and the Civil War. The only difference now is that the world is finally understanding what we have known all along: we are not just the diamond in the rough, we are a beautiful landscape with an anthology of stories to tell.